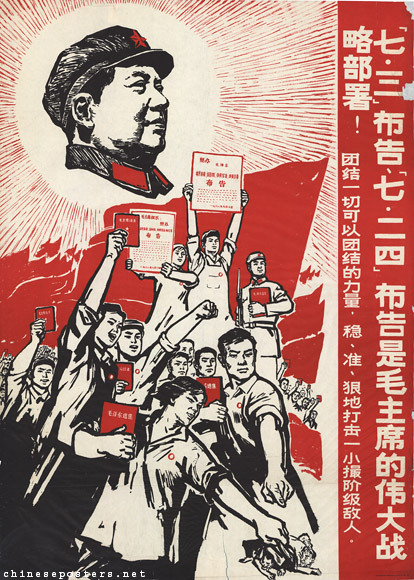 A 1968 poster for Chairman Mao’s great strategic plans. Fifty years ago, Mao Zedong launched the Great Proletarian Cultural Revolution, inaugurating a decade of political turmoil with his calls for young people to “bombard the headquarters. In this special live edition of our podcast recorded at The Bookworm Literary Festival in March, Kaiser Kuo and David Moser welcome Melinda Liu, longtime China Bureau Chief of Newsweek, for a discussion of the fiftieth anniversary of this definitive event. Melinda shares stories about her brother, who remained in China after the civil war and experienced it firsthand.